Assessment of disability is widely used to determine eligibility for entitlements, services and benefits. In light of the adoption and widespread ratification of the United Nations Convention on the Rights of Persons with Disabilities (CRPD), as well as in the context of an extended period of economic austerity, many European states have sought to revise and tailor their definitions of disability and the related assessment mechanisms, often with the stated aim of targeting those most in need. At the same time, some states have sought to adopt assessment systems which are in line with the CRPD. However, the CRPD does not provide specific guidance either for developing disability assessment mechanisms or for determining disability. 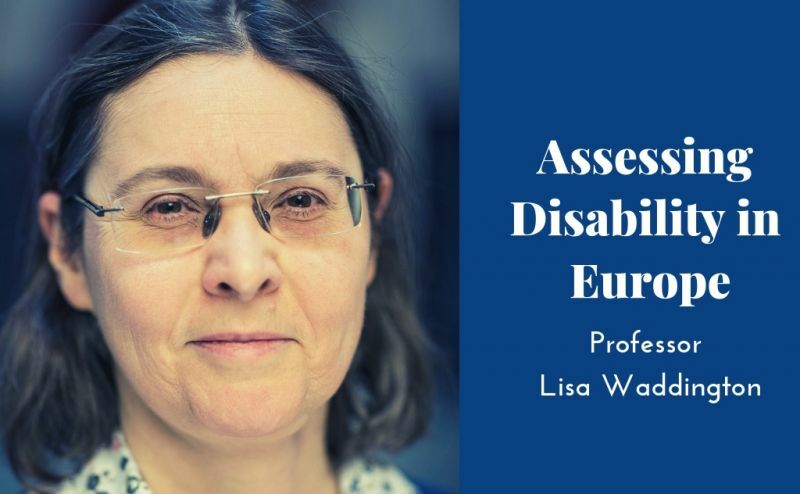 This presentation by Professor Lisa Waddington, European Disability Forum Chair in European Disability Law at Maastricht University, will seek to identify and classify the main assessment procedures in use in Europe, looking first at medically-based assessments and then at assessments which take some contextual factors into account. The latter assessments go beyond considering an individual’s medical diagnosis or health status, to also consider the impact that this has on an individual’s ability to carry out certain tasks or on an individual’s needs in light of environmental and other factors. Professor Waddington will also discuss some real assessment methods being used in Europe with regard to one particular benefit: the disability pension. Disability pensions are awarded to people who are unable to work, or have a reduced capacity to work, for a reason related to a disability. The presentation will show that eligibility for disability pensions are assessed using a wide variety of methods in European states – even though what is being assessed, namely ability to work, is theoretically the same. The presentation will conclude by giving some examples of “best practice” which can be identified in disability assessment methods used in Europe. This “best practice” may contribute to assessment methods which are compatible with the CRPD. The presentation is based on a recently published report (December 2018) drafted by Professor Lisa Waddington for the European Commission. The report was written within the framework of the Academic Network of European Disability experts. The venue for this event is wheelchair accessible. If you have any additional accessibility requirements, or any other queries related to this event, please contact social-equity@unimelb.edu.au.